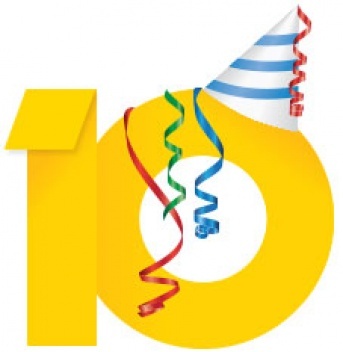 Only June 18th Google Adsense was 10 years old. To celebrate Google added a really awesome little Easter egg to the Adsense site. Pong! If you log into your Adsense account (https://www.google.com/adsense/) there's an image in the bottom left of the number 10. Hover your mouse over that image for just a second and a game of pong will begin taking up your whole screen. It's annoyingly addictive and I may have already spent some time today playing it! And then in your HTML all you need is a link that looks something like: <a href="/somewhere" title="Link Title" class="scroller" data-el="#internal-nchor">A Link</a> and you're done! For the complete script, see below. For an example of what this does, click the arrow in the bottom right! And don't forget to actually put an element on the page that has an id attribute the same as the one the data attribute is pointing to. I should probably be a little more specific. I love writing the CSS that produces a responsive website. I've been reading up on responsive design since it's inception and then popularity. And why wouldn't it be popular? A massive percentage of browsing these days is done on the ever faster and better mobiles. Responsive design takes the middle-ground between a website built for the desktop, and an app built for the phone. It covers both with beauty and simplicity! Of course, when I say simplicity I mean it's simple when you know how. But the fundamentals to create a responsive website are pretty basic thanks to CSS media queries, and the plethora of responsive toolkits you can find on the web today (Bootstrap, Foundation, Skeleton to name but a few). In fact, if you want to go ahead and don't want to do it yourself, dropping any of these into your site (with a few tweaks) will see you all responsive in no time! It's been a while since anything has happend on DeVSeO recently due to other commitments, work, running, the gym and guitar! However, I've finally managed to put some time into the site today and here's what has happened! Firstly, I know that a couple of the tools haven't been working for a while and, among other things, this was due to the server migration from a shared host to my shiny new VM (thank you http://gandi.net!). This should hopefully mean that the site runs a little faster and has less down time (although that wasn't the case this week thank you kind spammer!). I have now fixed the YouTube Playlist RSS Feed Creator tool we have here in two ways. Firstly, it was completely broken because the YouTube Data API changed and I didn't notice (sorry!). The way in which playlists are looked up is now slightly different and annoyingly YouTube don't actually give you the playlist ID required to use the tool. However, I've added a secondary function that allows you to look up a list of playlists for a given YouTube user and from that list create your RSS Feed by clicking the link to the relevant playlist, hurray! I've also set it up so that you don't need toworry about only 25 returning. It will loop through all pages of playlist items and return them all to you in one list!